The new Vitamix 7500 is one of the latest additions to the Vitamix lineup and is the most popular G-Series (NextGen) blender in that line. 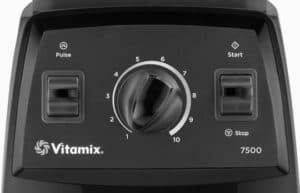 Building upon the quality and innovative technology of their past blenders, Vitamix created the Vitamix 7500 and addressed a few of the problems that owners of the Vitamix 5200 complained about. The most noticeable difference with 7500 is the redesigned, lower-profile 64 oz container. The entire unit – with the container in place – is only 17.5″ tall, a full three inches shorter than the older 5200. This makes it a lot easier to fit under your kitchen cabinet. Vitamix has also improved the sound dampening on their newest blenders, and this model is over 40% quieter than older models. 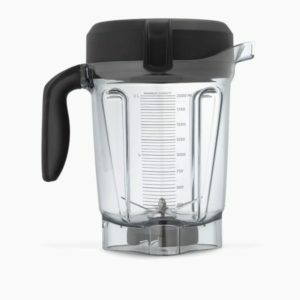 You can get free shipping on your Vitamix 7500 purchase by purchasing direct from the vitamix.com website, using this exclusive link for our readers. The 7500 measures up a bit differently than the other models in the Vitamix line. It is shorter, only 17.5″ tall, wider, 7.7″ wide, and deeper, 9.4″ deep. The Vitamix 7500 is also heavier than past models, 12.5 lbs, likely because of the more powerful motor. It comes equipped the same 6-foot cord as other models, which can be neatly stored by winding it beneath the motor base, which comes in one of only three colors (red, black, or white). Are you thinking about upgrading your old Vitamix? 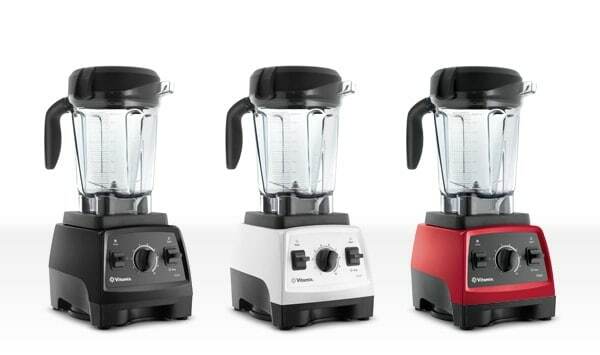 You can get a $100 credit towards the purchase of any new Vitamix when you trade-in your old blender. With the Vitamix 7500 you’ll receive a Simply Fresh cookbook containing hundreds of delicious recipes, a Getting Started guide and DVD containing introductory recipes and techniques to help you become familiar with the new blender, and a tamper designed to fit the new, shorter container. The first thing you’ll notice different about the Vitamix 7500 is the redesigned, lower-profile 64 oz container. The container is made of the same BPA-free polycarbonate as previous models but has been completely redone to make it wider and shorter, meaning it will fit under the average kitchen cabinet. The lid is a similar version of Vitamix’s easy-off 2-part vented lids. The fitted lid secures snuggly to the container to prevent leaks and has a removable twist-off center lid plug which enables you to add extra ingredients while the motor is running without making a mess. Even though the container has been redesigned, you’ll likely still need the tamper when blending thicker mixtures to help push the ingredients down into the blades and to prevent air pockets from forming above the blades at higher speeds. The wider container will help a bit with chopping ingredients since the larger base allows more of the ingredients to come in contact with the blade, and it also makes cleaning easier. You’ll find that most kitchen spatulas can now be used to scrape out the ingredients in the container more easily. There are also several containers you can buy to get more use out of your Vita mix blender, such as the Vitamix Dry Container. The motor in the Vitamix 7500 has been upgraded so that it is more powerful than earlier Vitamix models. 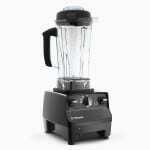 This blender’s motor is capable or 2.2-peak horsepower at 12 amps. This increase in horsepower means that it can now reach top speed of 270 miles per hour at full power so that ingredients are broken down more quickly. This slow motion video by popsci.com shows just how much power a Vitamix is capable of producing. The vortex created by the blades will start to pull ingredients towards the blades almost immediately. A lot of effort has also been put in to make the newer Vitamix blenders run more quietly. The Vitamix 7500 is nearly 40% quieter than the older Vitamix models, reportedly 7 decibels less noise at high speeds. If you’ve heard an older Vitamix before, you will be able to tell the difference. If the noise levels were what was holding you back from purchasing a Vitamix, then this model will be music to your ears. There have been some minor, but noticeable, improvements made to the controls of the new Vitamix 7500. This model still retains the familiar switch and dial configuration, but the high/variable toggle has been replaced with a pulse toggle. This addition allows you to quickly pulse the blend at any speed for an added burst of power. You’ll also find this feature is very useful when chopping vegetables or making salsas. Gone are the day of flipping the power switch on and off or twisting the dial from 1 to 10. The dial and switches are still made from the same ‘soft-touch’ rubber as the older models giving them a durable finish and solid feel. Save $90 on a Vitamix 7500 by purchasing the Certified Reconditioned Next Generation package. Refurbished models come with a 5 year warranty and all new accessories. The Vitamix 7500‘s increased power from the new, quieter running motor and redesigned, lower-profile container make an outstanding upgrade to the Vitamix lineup. If you’re serious about preparing food and want only the best for you and your family, this blender is worth the cost. This blender is also guaranteed to last you seven years and will likely last many years past that. Not many other blenders on the market can make that claim. 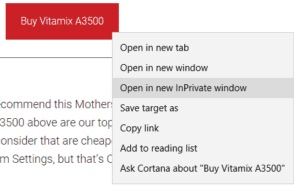 If you found this article helpful, please make a purchase by clicking one of the links above. We provide all of this updated material free of charge. How we keep ourselves motivated is by earning a very small commission with every purchase that helps us keep this site updated and pays for all the expenses required to operate a top website. This is also an indicator to us that we are writing quality content that visitors find valuable. Without readers such as yourselves, this website would go the way of Myspace and Yahoo Search. There are alot of review sites on the Internet. One thing we’ve found invaluable is to make sure your intention of helping us out actually helps us out. You can do this by ensuring our affiliate link gets applied properly. 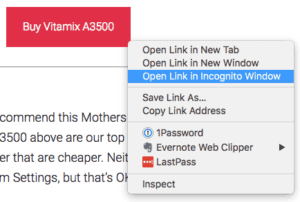 You can do this by opening up a new browser window in “incognito” mode. What is the difference between the 7500 and the vita mix culinary institute of America professional series. That’s a great question! The Vitamix Culinary Institute of America Professional Series, also known as the Vitamix CIA Professional Series, is nearly identical to the Vitamix 5200. Which puts it in the Classic-Series of blenders. It differs slightly from the 5200 due to the included accessories, mainly 2 cookbooks. We’ve got a detailed review of it here Vitamix CIA. 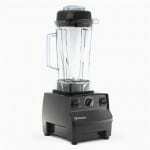 The Vitamix 7500 is part of the Next-Gen Series of blenders, making it a newer model. 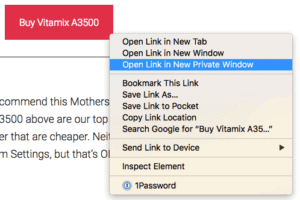 You can find details here Vitamix 7500. So to answer your question, “whats the difference between the 7500 and the CIA Professional Series?”, the best article can be located here Vitamix 5200 vs 7500. One point to note, the Culinary Institute of America trains their chefs on the Vitamix CIA Pro. So even though it’s an older model, it doesn’t necessarily mean it’s a lower grade model than the 7500. Used right, it’s a terrific blender. but im also debating on getting the 7500 and the price diff is about $50 … one is $530 – $580 . and to be honest i dont mind the price diff …. i mainly make smoothie, milkshake and whole juice .. roughly 20oz (600ml) each time …. soup and ice cream, maybe once a month. which one would be better? as a consumer we all want the newer improved machines ..
Is this available for Europe too? Unfortunately, I don’t believe the 7500 is available for purchase in Europe at this time. I checked several international distributors and none of them were offering the 7500 model. It is called ‘Pro 300’ in Europe. I have lymphoma and purchased a reconditioned 5300 in last month. I want to return and upgrade to newest model- Vitaa Mix 7500. Are there any discounts for peiple that NEED a vitamin? The return process is very easy. Vitamix even offers a 30-day risk-free guarantee, so they’ll even pay for shipping back. The first step is going to be getting a return authorization number from customer service. Once they have your 5300 back and process your refund, you can go ahead and purchase your new 7500. Hi there – comparing the 5200 to the 7500 which one makes the best soup? Both the Vitamix 5200 and 7500 do a great job at making soup! If I had to pick a winner, I’d say that the 7500 model does a better job because of the wider base.